It’s easy to schedule your appointment at Holistic Chiropractic & Wellness in Salt Lake City, Utah. A new patient can usually be seen within 24 hours. 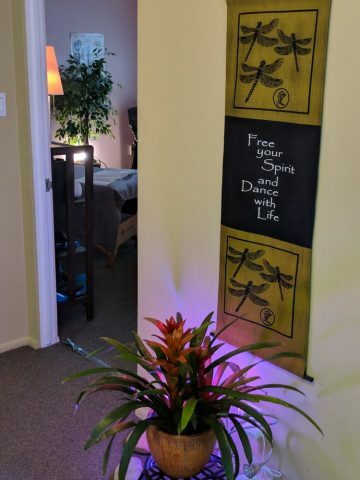 Holistic Chiropractic and Wellness in Salt Lake City provides you with flexible hours throughout the day, evening, and on weekends by appointment. You may call 801-230-0166 to set up your new patient appointment or leave a confidential message at 801.230.0166. You will be greeted and welcomed by Dr. Bob. You will receive new patient documents to complete, which will take about 7-10 minutes. If you are trying to use insurance please bring the most current insurance card of the insured and bring a method of paying your co-pay, co-insurance or for your chiropractic session. You will be shown his state-of-the-chiropractic equipment. Dr. Bob and you will begin a new patient intake. He will ask you questions about your condition, your symptoms, your accident or the purpose of your office visit. Everything that is discussed between you, the patient, and Dr. Bob Seiler, holistic chiropractor, Doctor of Chiropractic, DC, is confidential. A physical examination would then be performed to help Dr. Bob better understand your health concerns. Our office uses a variety of gentle therapies to assist in your healing. Dr. Bob would in his professional opinion would give his feedback on what he thought was causing or what led to your condition or symptoms/s. A holistic chiropractic treatment would follow, which would be about 30 minutes. There are different types of chiropractic adjustments. Dr. Bob Seiler, chiropractic physician, Doctor of Chiropractic, DC, uses a neuro-mechanical instrument which is very gentle and allows Dr. Bob to adjust all the vertebrae in your spine. There is also a manual chiropractic adjustment which elicits an audible release of pressure, which stimulates and calms your body. Depending on your condition Dr. Bob will choose what he thinks is the best type of chiropractic adjustment for you. Feedback and recommendations would be given to the patient at the end of the treatment. Follow-up visits may be recommended depending on your health concern. Usually 4-6 visits are recommended to see how your body responds to the chiropractic care. Your health & well-being is ultimately up to you. Dr. Bob will provide all the support that you need to improve your quality of living. No x-rays or imaging will take place on your initial visit. Oftentimes x-rays aren’t needed depending on the nature of your condition / symptoms. If needed, Dr. Bob would then make arrangements for you to have x-rays taken at a near-by imaging clinic. The new patient visit will take about 50-70 minutes, and is based upon your condition, type of accident or health concern that you are dealing with. Parking is available about twenty-five feet from our reception area. Your first appointment will take about an hour including doing some paperwork, having a consultation, physical examination and a holistic treatment which lasts about 30 minutes. If you’ve had recent blood tests, lab work, x-rays, MRI’s you can also bring them to your new patient appointment to help give Dr. Bob better understanding of who you are and what you’ve been dealing with. Depending on the care that you need, follow-up appointments are typically shorter than your initial appointment. You can expect very personable, comprehensive, one-on-one doctor to patient time. Holistic Chiropractic & Wellness offers other state-of-the-art therapies to help lessen unresolved back, neck, joint pain, headaches. Our KDT Spinal Decompression System can relieve the most stubborn of back pain, neck pain, headaches and radiculopathies. Holistic Chiropractic & Wellness accepts most credit cards, HSA’s, personal and bank checks, cash, auto insurance, and most medical insurances. Our office does all insurance billing for your convenience, but you will need to take an active role in verifying your chiropractic coverage, any deductible to be met, the number of chiropractic visits allowed and used for your calendar year. If you don’t have chiropractic benefits ask if you have out-of-network chiropractic benefits. * If you have been involved in a car accident in Utah, your auto insurance pays for your chiropractic care no matter who was at fault in the accident. You must call your auto insurance company not the insurance company of the driver who was at fault. You are entitled to take care of your body after a car accident no matter how minor you may think the accident is. Most of the time there is more injury than just the pain that you may feel. The longer you wait to begin treatment the less your body is able to recover from the injuries sustained. If Holistic Chiropractic & Wellness feels that your situation or case warrants legal representation our office can personally recommend a personal injury attorney to help. * See the links Insurance and Payment Options if you have additional questions about insurance.